The authorsand collaborators provide: clinical guidelines, helpful consultation resources, interesting and up-to-date publications, key conferences and practical training courses, as well as information for patients. 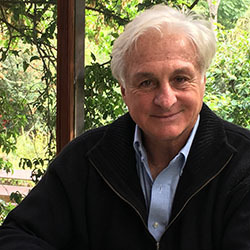 Dr. Roberto Canessa was born in Uruguay in 1953. 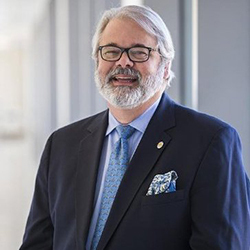 He is a member of the Cardiac Transplant Team, Director of the Department of Cardiac Ultrasound and Prenatal Diagnosis of Congenital Heart Diseases, and a researcher of Foetal Cardiology allat the Italian Hospital of Montevideo. 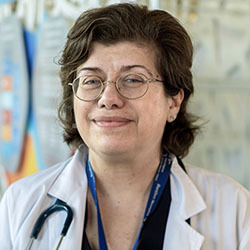 Professor in Paediatric Cardiology (postgraduate degree) at the Uruguay Faculty of Medicine. He was a member of the Assembly of the Faculty of Medicine of Uruguay. Dr. Roberto Canessa was 19 years old when he climbed in the Andes with his friend Fernando Parrado. They were survivors of a plane crash in the southern Andes. For 10 days, at heights of more than 5,000 meters and with temperatures as low as -30º, they were searching to rescue 14 other rugby players,who remained around the fuselage at 3,500 metres. He was President of the Old Christian's Club for 8 years. During this period, the Los Tréboles Solidarity Foundation was created, through which the club provides support and education to children. Also at that time the club received the Spirit of Rugby Award from the IRB (International Rugby Board) in London, for their sporting attitude in continuing to compete for the "Friendship Cup", in honour of their companions killed in the Andes. This event is still held 45 years after the tragedy. Rugby player for the Uruguayan national teamfrom 1971 to 1979. He was top try scorer for several seasons in the National Championship, representing Uruguay in the South America XV team that travelled to South Africa in support of the end of Apartheid. He gives professional advice to the most prestigious universities and companies in the world that continue to hire his services. He is married, with three children and his greatest joy at this moment is being a grandfather.